Generic SEGA racer no.5914E2 fails too impress. Graphically this might have ruled on the SEGA Saturn, but as a ’98 PC game it’s atrocious. 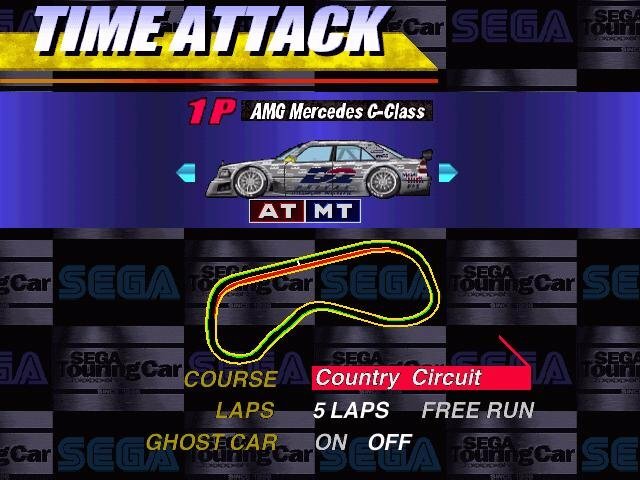 SEGA Touring Car Championship seems to have consciously been designed to offend and bore in equal measure. You get four, count ’em – FOUR – “road beasts” and “two thrilling driving perspectives,” not to mention its three tracks (with one bonus track to be discovered) and – gasp! – a digital rear-view mirror! By 1993 standards this would have been revolutionary, but it’s unfortunately half a decade late. 3D support? Forget it. A car that suffers damage as it careens off walls? Not here. Resolutions over 320×240? Nope. How about an interesting new slant on the driving genre, such as the ones provided by Carmageddon or Quarantine? Not happening. You’d think the root of this offense might have been 1997’s SEGA Rally Championship, an unambitious arcade racer with almost just as few features. 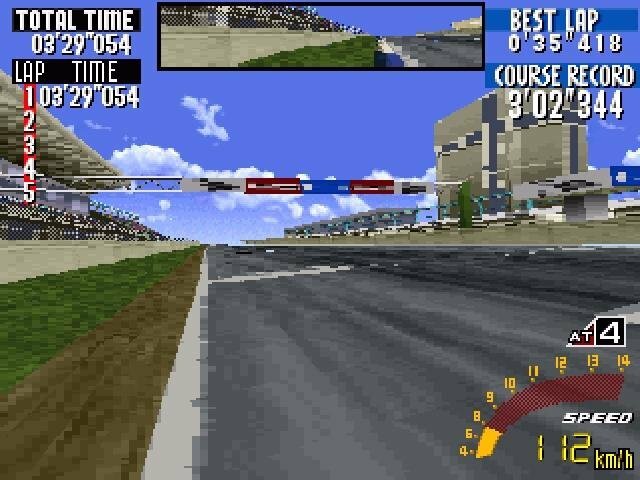 Touring Car Championship is actually worse, crashing on numerous occasions and delivering driving sensations akin to a 2D Gameboy racer when it ran. 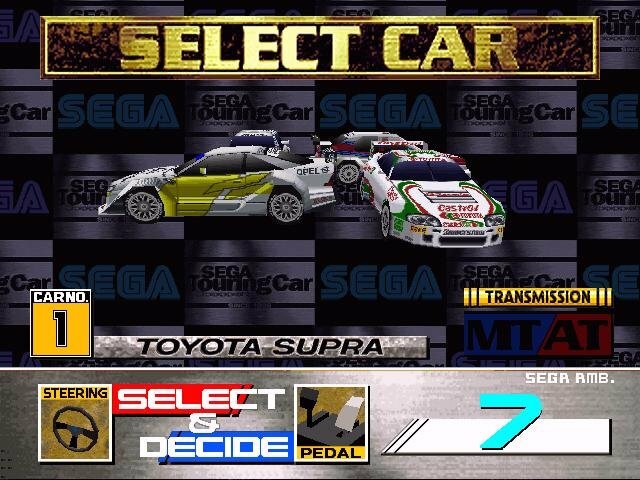 The idea of giving the game a superficially similar sounding title to Rally Championship with the hope of squeezing a few meager dollars off unwary customers might have been SEGA’s business model. 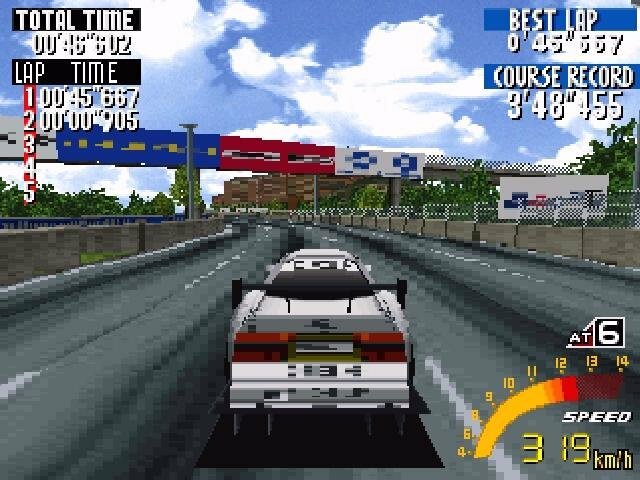 But the core problem stems back much farther than this, with Touring Car Championship having been released on the SEGA Arcade way back in 1996, a full two years before the PC port. It was a meager racer then, and the added advancements in technology and gaming within those intervening years made this PC conversion look like the veritable fossil that it was… and still is. 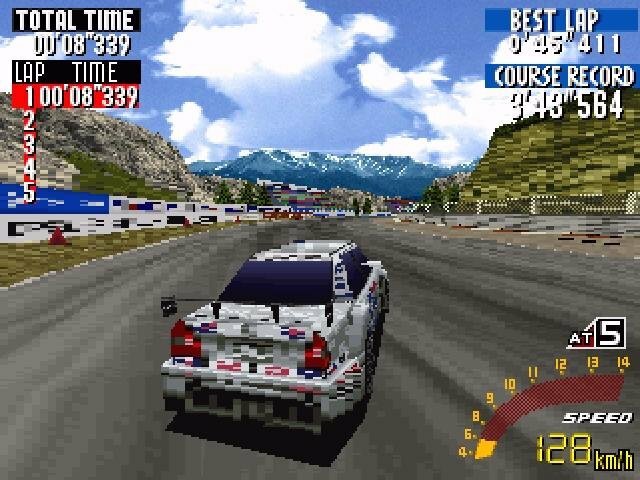 I’ve played the Sega Rally Championship demo, and I had the impression it was a bit fun to play. It had something special in the handling model, dunno, though it also was a bad port. But this one just looks terrible. Even the original. Looks like there were some lazy porting back then, didn’t it? Or does porting is always unsatisfying? I remind of Spider-Man of PS1 which was so nice, and got a bad port. They just made the game run and assigned the commands to the keyboard. They ignored that the mouse would be better for camera control and aiming. Also, untouched graphics. The game has more than 3+1 tracks you mentioned. If you have fully played the game you would even unlock more tracks, a secret car and 3 skins. 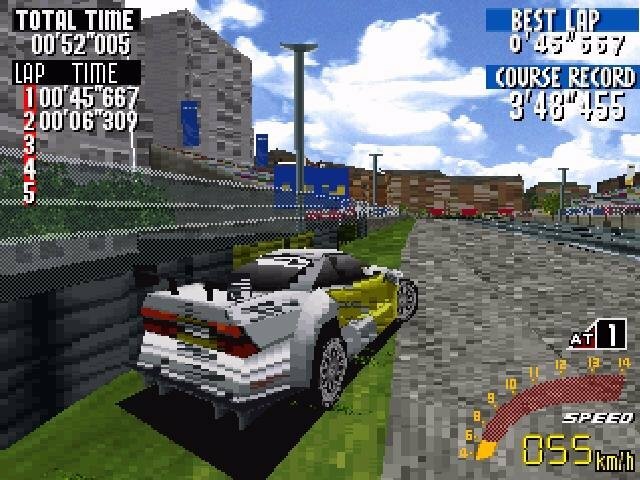 The game was simple but it had a decent amount of unlockables that made it better than most of the racing games on that time. The idea of having a “career” mode on that game was good (saturn mode), however the game feels a bit incomplete in that department. 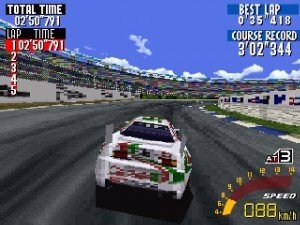 If you look at other console racing games by the same year you surely wouldn’t get real damage nor career mode. It wasn’t a simulator! The game was a decent try from SEGA and it was very fun to play back in time. I’m just disappointed on how you just try the games and discard them just because you are used to play better (and most recent ones). 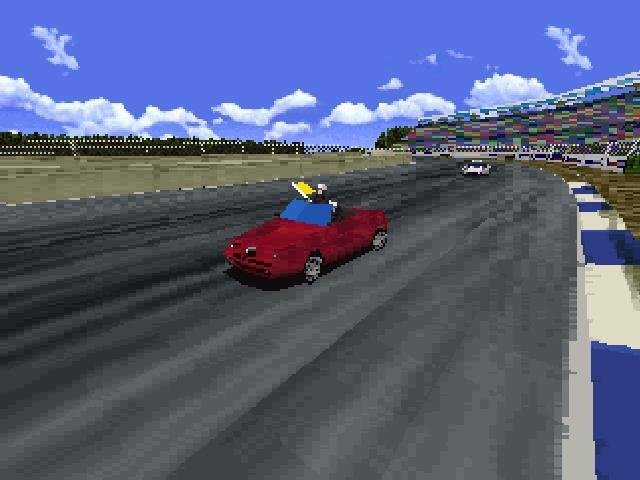 I’m not saying it was the best racing game of that time, but surely wasn’t the worst. I would rate it 3/5. This game DOES have resolutions over 320×240 (press f3)… Even the Saturn uses 640i for menus and the hud. There IS a direct 3d patch for PC as well to smooth the textures. 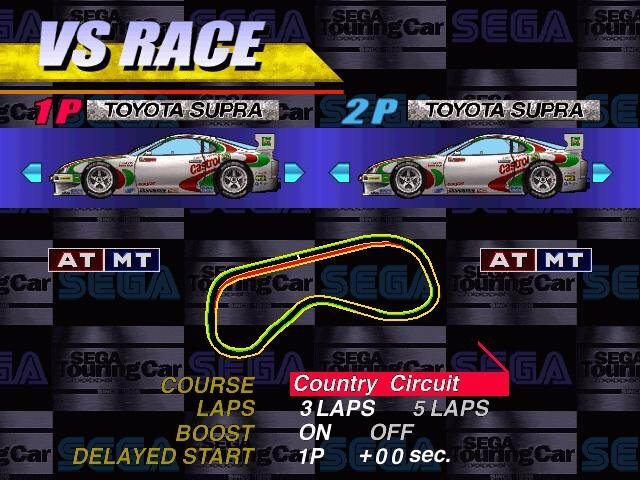 Sega Touring Car Championship’s controls are actually some of the tightest of all Sega’s mid 90’s racers (if you play it with analog inputs)… This game was fully designed with analog in mind, so of course there will be LOTS of crashing because you can’t easily hold the proper speeds for taking turns (or take “easy” turns because the wheel turns 100% for digital inputs) with a key board or d-pad. 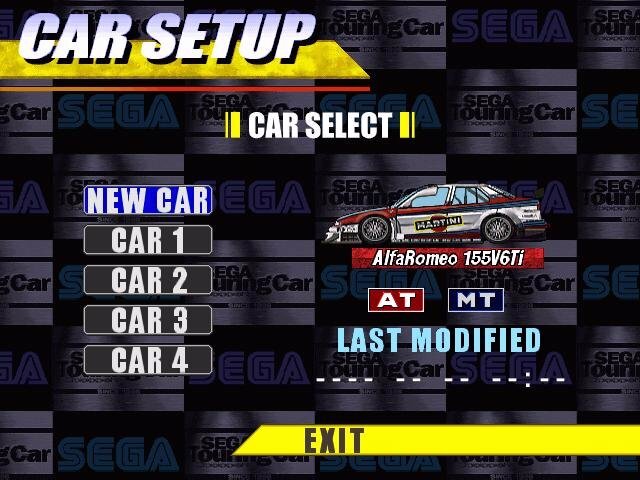 On PC and Saturn this game (and Sega rally) allow you to tune your car as well to further increase control ability, which was pretty revolutionary for the time by the way. 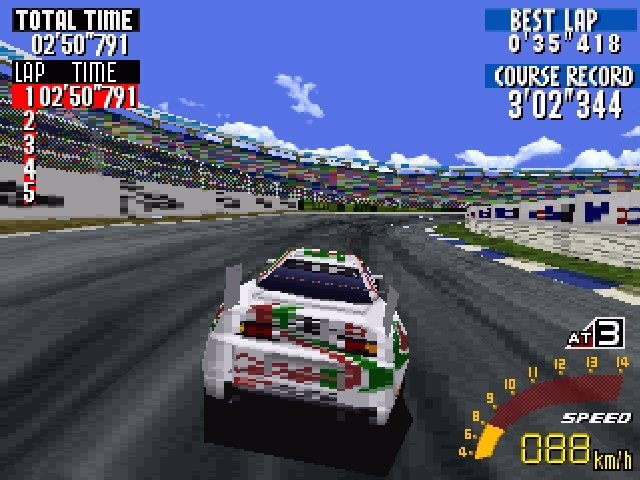 Lastly Sega Touring Car Championship (and Sega Rally) are not supposed to be played like standard arcade racers, they are much closer to simulations. You are guaranteed to place last if you come at this game like Need For Speed 2+, Ridge Racer, or the Cruisin’ series… It’s obvious the reviewer had no business covering this game as he clearly doesn’t understand it at all.